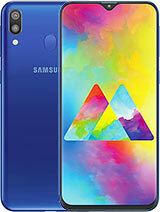 hi guys.. please dont buy this phone. in pk i bought this phone for 22000 rupees just three days ago and the moment i opened the box it was mere disappointment. it keeps on restarting and i m unable to play videoclips on it even the ones i recorded on its own camera. as far as features are concerned, its a great phone in such a price range. great screen great maps and gps, sound and all but the sorftware and the appearance is the major NO. Simply Great Phone ..... 3 Months and Every thing is OK.
yuva, 05 Apr 2009i did the Same comparison b4 3 months(n78 & E51) in fact there is no reason to reject E51 at t... morethx so much for ur feed back i will take it in my consideration but i was wondering if the 7 reasons to reject aren't a major problems ? and if the software is slow and always mingle? But at last i got my N78 baby......... and used for past 2 months and now i am very much satisfied. hey guys i want to buy a cell phone and am thinking abt N78 or E51 , what i like abt the N78 is the fm transmitter i found it really worthy but in the other side u all talk abt lots of problems: speaker , camera etc . and the E51 is really classy and cool and does not have such prob. .. so how can u help me wz ur experience? An excellent, multifeatured powerpacked phone,with gr8 design.Must 2 have!!! This phone has no other drawback. The speakers, headphones, micro sd, screen quality,camera,flash all are perfect. And the special thing about this phone is the affordable price tag. Superb phone .but be sure to check ur phone at the time u buy because i found a phone which had malfunctioned keypad when i opened the carton.but thats possible with anyphone so its not a drawback of n78. Great phone .buy ,enjoy. It has each and every available technology. N78 has louder sound , better display quality. Wifi .the only drawback is the keypad.but not the alpha numeric keys. They r perfect. The soft keys sometimes mingle up with call and end keys.